Y’all . 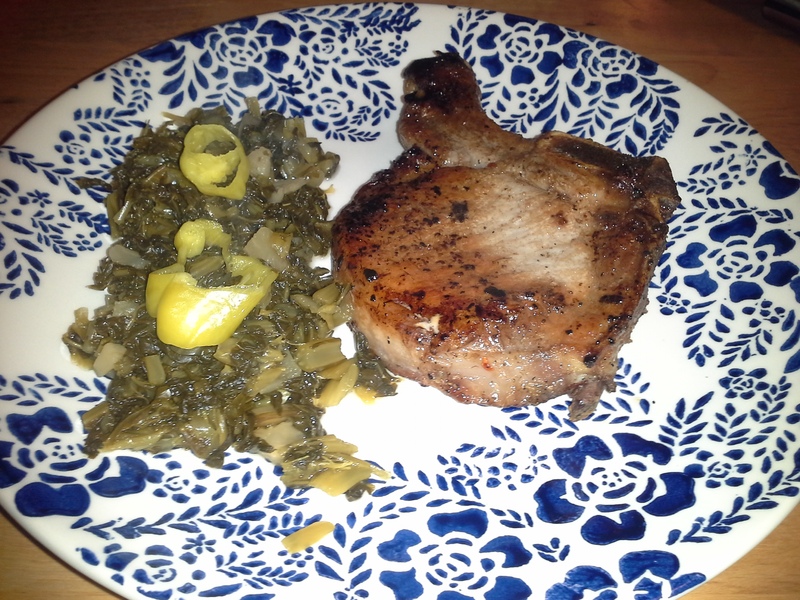 . . this was SO good, I’ve vowed that I’ll never make pork chops without brining them ever again! And do you know how difficult it is to find a brine recipe that’s sugar-free? Well, I’m about to remedy that. The pork chops will need to brine for at least 1 hour and up to 24 hours, so start early enough to allow them to soak up the flavor! Cast-iron or heavy-bottom skillet . . . and/or . . . 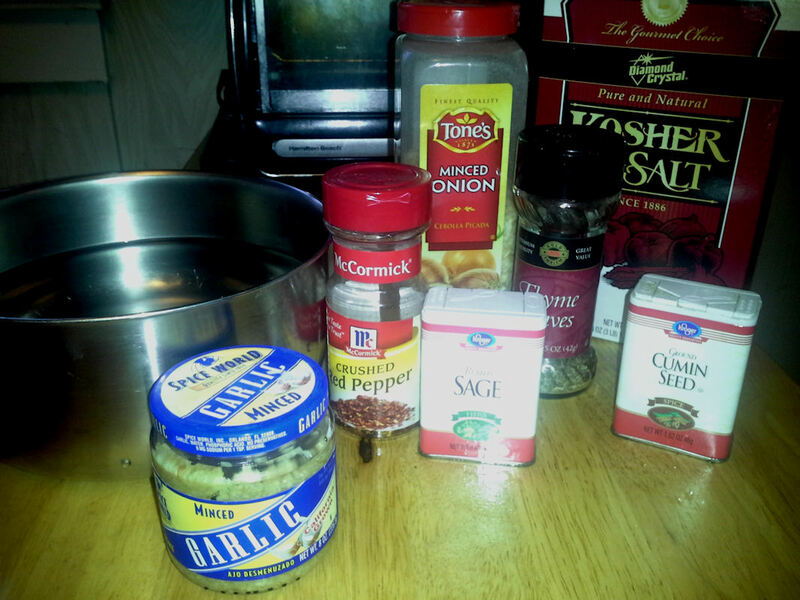 Combine water and seasonings (salt, garlic, and onion are pretty much mandatory—everything else depends on what you have on your spice rack and what your favorite flavors are; it’ll be pretty mild in the finished product). Add chops to the brine, cover with lid or plastic wrap, and place in refrigerator for at least 1 and up to 24 hours. Preheat oven to 400°F. Heat skillet on stove over high heat or, if using an oven-proof skillet, you can put it in the oven while it’s heating up. Remove chops from brine and pat dry. DO NOT RINSE. You can add more seasonings at this point if you’ve done this before or if you’ve brined for an hour or less (the longer you brine, the more flavor the meat picks up). I only brined for an hour, so I sprinkled a little dry Italian dressing mix on them. Sear chops in hot skillet for about 3 minutes on one side. 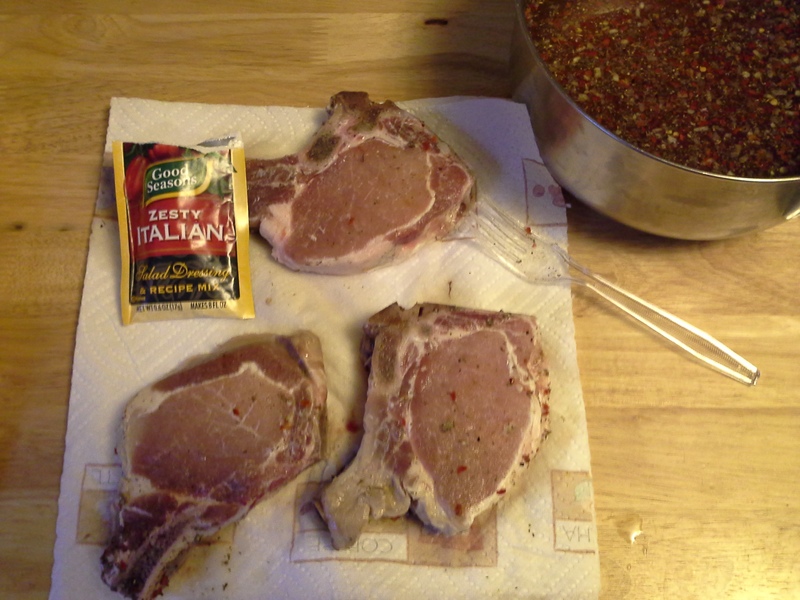 If using cast iron or oven-proof skillet, turn chops over and place skillet in oven. The recipes I read that used this method said to roast at 400°F for 6 to 10 minutes. This method will have a shorter roasting time due to the pan’s already being hot. Because I don’t have a cast-iron or other oven-proof skillet, I used a regular skillet heated on the stove over high heat. 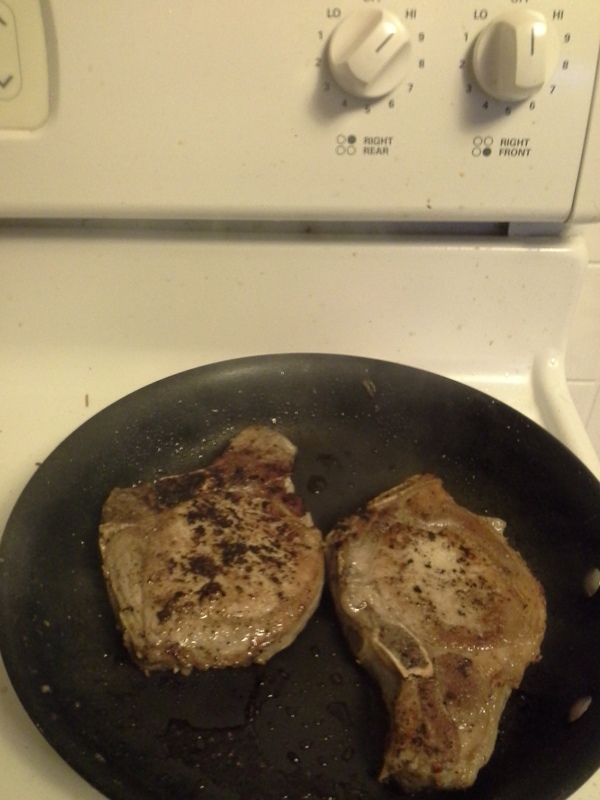 When it was very hot, I seared the chops on both sides (about 90-seconds to two minutes each side) and then put in the oven on my make-shift grill pan (a wire rack that fits inside a shallow baking pan, which is, of course, lined with foil). I roasted the chops for 10 minutes at 400°F, then turned the broiler on for five minutes. I’ve never tried brining before. I have lots of chops in the freezer and I must give this a try soon.